You have these “one-day” dreams. You think about them constantly, always wishing you were living them, but everyday life gets in the way and well…you’ll have to get to them later because, in this season of life, there’s just no time. I’m calling you out today, my friend, and the reason I can do that is because I used to feel the exact same way. For your convenience, this post may contain affiliate links. Footprints of Inspiration is an affiliate of Amazon. For more information, see our privacy and disclaimer page. Everyone has junk in their life. 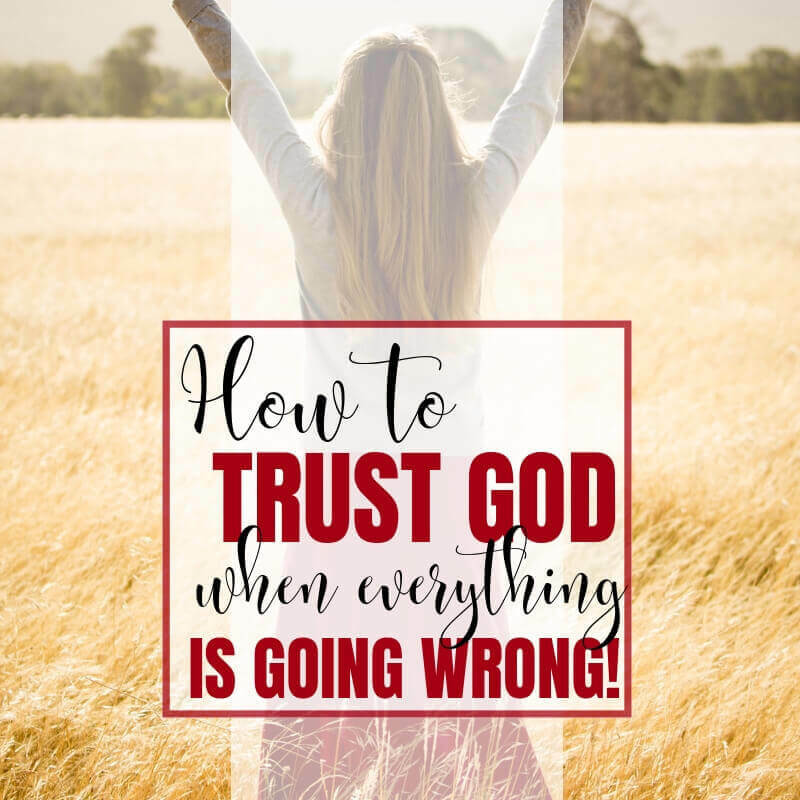 Everyone has tough things to deal with and obstacles to overcome, but the difference is that you aren’t making the right choices (and neither was I). You aren’t actively going after what you want in life. Don’t feel bad about it. Most of us don’t know how to take our dreams, break them down and make them happen. In fact, up until several years ago, I had no earthly idea of how to actually live those dreams that I so frequently thought about. I was (and am still) living with a chronic illness and I assumed that the only reason others could live the life of their dreams was that they didn’t have to deal with getting migraines 3-5 times/week. They had the financial means to do it because they weren’t missing days and weeks of work at a time, making it extremely difficult to pay the bills, let alone go on those dream vacations I wanted to go on. But here’s the thing. I was completely wrong. I spent so much time feeling sorry for myself because this was the hand I was dealt, that I never took the initiative to actually make it happen. In fact, I honestly had no idea how to do it. 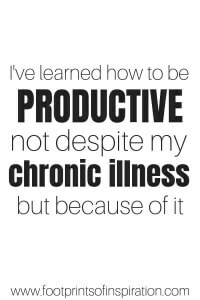 I’m still living with a chronic illness, but I’ve learned how to be productive not despite it, but because of it. You may not have a chronic illness, but I have no doubt you have your own “stuff” in your life. Even so, you can still go after your dreams and live the life you want. One of the most common questions I get asked is how I manage to accomplish my goals when I’m laid up in bed several days a week (and sometimes days on end). 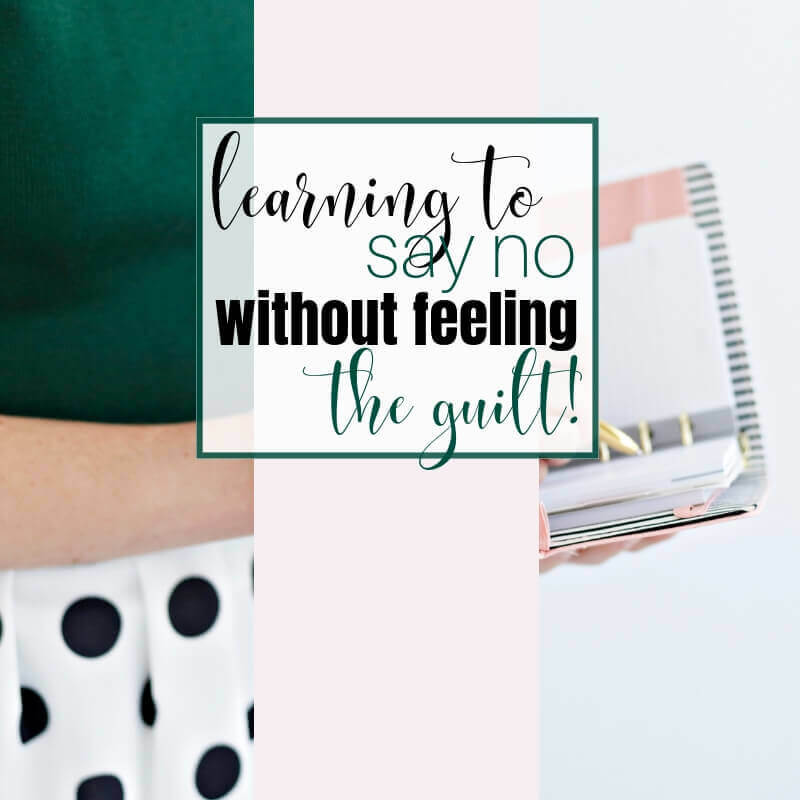 I’ve learned how to focus 100% of my attention on the tasks that are going to help me reach my goals. 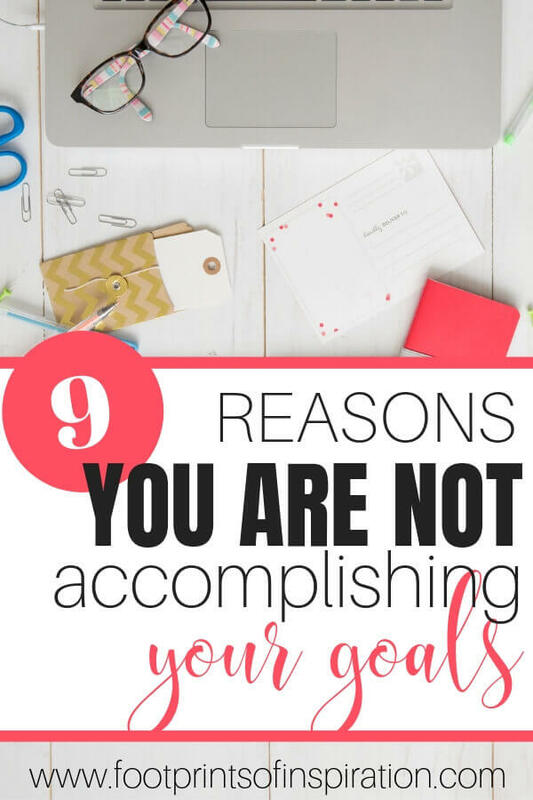 So today, I’m sharing the 9 reasons why you aren’t accomplishing your goals. Once you embrace these truths and start living your life more intentionally, you’ll begin to see the change you’re so desperately looking for. Before we get started, I highly recommend downloading our FREE Goal Crushing Action Plan to help you in this process. You can find it in our community library. 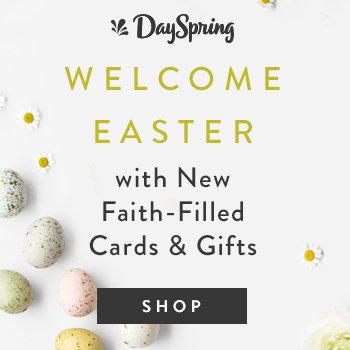 Simply subscribe to our newsletter below to get the instant download and access all of our FREE resources. Until you write it on paper, it is only a dream. Doing this ridiculously simple step of writing down your goals increases your chance of success by 42%! Crazy, right? Not so ridiculous anymore, is it? Take some time to really think about what you want your life to look like in five years. Now get it on paper! This is not the time to ask yourself how you’re going to accomplish your goals. How is a very important question, but not at this stage in the game. So, right now, I’m giving you permission to daydream for a while. What is it that would really make you happy? What would you love to see yourself doing in the next five years? How do you want your life to change? It is your personal vision that creates an emotional connection to the daily actions you need to take. The 12 Week Year by Brian P Moran and Micheal Lennington. Understanding exactly why you want your life to change, exactly why this is so personal for you brings it to a whole new level. In order for you to be attached to your goal and new way of life, you’ve got to want it bad. There is a natural ebb and flow on the journey to achieving your dreams. In the beginning, you’re so excited and can’t wait to get started. 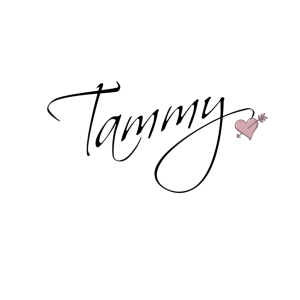 After a period of time, you hit that messy middle and it’s where most people give up. In fact, it’s why by the beginning of February, 80% of New Year’s resolutions have failed. 80%! That’s huge! They didn’t understand their “why.” They didn’t take the time to sit down and really figure out why this goal is so important to them. I highly recommend making a vision board because it will help you form an emotional attachment to your goal. 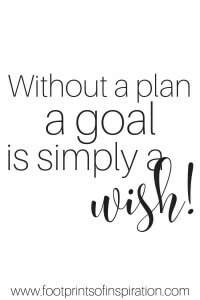 Without a plan, a goal is simply a wish. I recently spoke with someone that told me he knows what his goals are, however, he just doesn’t know how to make it happen. When he was young and his parents would tell him to clean his room, he’d go in, look at everything laying around the room, and have no idea where to begin. It was information overload, and he wound up sitting on his bedroom floor, playing with his toys and never getting his room cleaned. 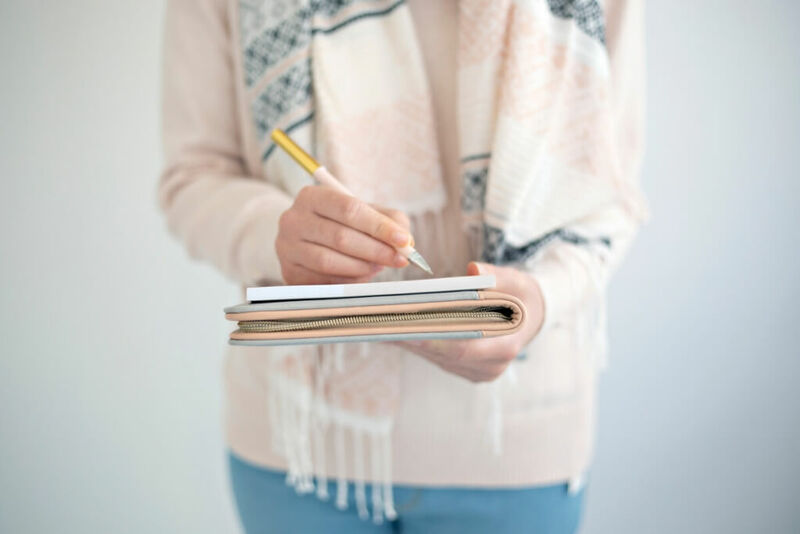 You have to take that big goal of yours, write it down on paper, and then list out every step you need to take in order to make your goal a reality. At this point, It doesn’t have to be in any particular order, simply braindump it all onto a piece of paper (or in a word doc if you prefer the computer). In fact, here’s a great exercise to help you determine what needs to be done. See how stepping it out makes it easier to understand? No more being paralyzed by that goal. You now have a step by step plan of how it needs to happen. Well, my friend, that isn’t going to happen. You actually have to schedule the time to get it done. You simply determine how much time you’ll spend on your goal in any given week. If you can only carve out two hours each week, then that’s what you do. Make an appointment with yourself and make it a priority. You can do this in 30-minute time-blocks or the whole two hours at a time. Treat this like any other appointment. 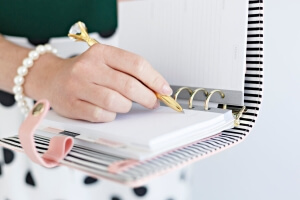 Write it in your planner, put it in your phone, do whatever it takes to get it done. Your actions today determine your success later. So even if it’s only a couple of hours each week, you’re still making far more progress towards your goal than you have been. Truthfully, up until a few years ago, I didn’t know this either. There are so many “urgent things” that come up on any given day. You wear a lot of different hats so that’s not going to change. In order to achieve your goals, you have to understand the difference between the two and allow for both of them in your day. Urgent is something that requires immediate or semi-immediate attention. For instance, laundry, paying the bills, doing the taxes, washing the dishes, cleaning, running the kids to their various activities. 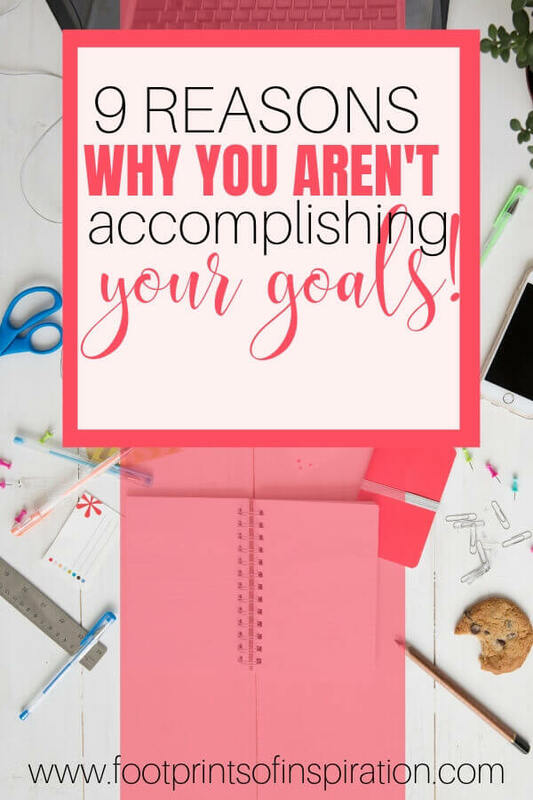 Clearly, these tasks need to be done, but they aren’t going to get you any closer to your goals. Important tasks are the ones that are contributing to your long term success. These are the tasks that you schedule time for in your week. They are the steps that you wrote out above and that are getting you closer to your goals. You have to learn how to effectively schedule time in your week to handle both the urgent and the important tasks. What is it with us women? Seriously, we wear that multi-tasking badge likes it’s the highest honor we could ever achieve. When I’m in the kitchen making dinner, I’m also emptying the dishwasher, washing some of the dishes I used during meal prep, setting the table, and sometimes even folding a load of laundry. You too? There’s a time for multi-tasking but when you’re working on the important tasks that we discussed above, this simply isn’t it. Studies show that when you’re multi-tasking, it reduces your productivity by almost 40%! That’s insane, right?! So when you’re working on your important tasks, those tasks that are getting you one step closer to your goals, turn off that phone! Find a place where you won’t be disturbed, and give 100% of your attention to climbing that ladder of success! Every time you get interrupted, it takes an average of 23 minutes to get refocused on what you were doing. Now consider all the email and social media notifications, text messages, and phone calls you get throughout the day and start multiplying that by 23 minutes. Oh my goodness, that’s a whole lot of wasted time! You’re going to have interruptions in your day. It’s a fact of life, so it’s time to embrace it and learn how to plan for it. Schedule a “buffer” once or twice throughout the day and don’t address the interruptions until that time. 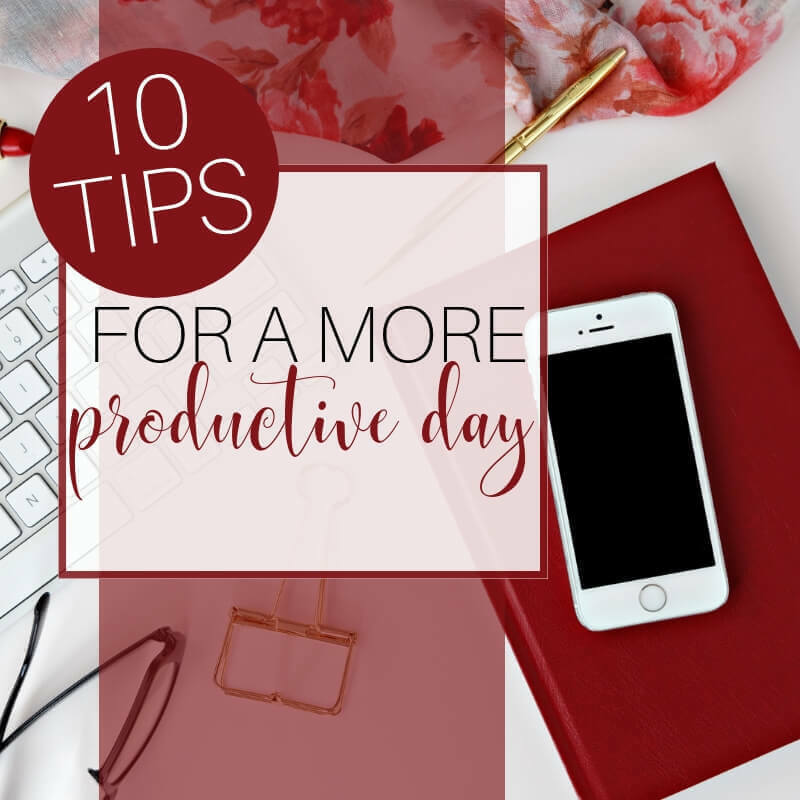 As soon as you’ve completed working on a specific task, then go back and answer those emails, social media notifications, text messages, and phone calls. I know it’s going to be difficult in the beginning, and I’m sure you’re worried about not being available every minute of every day, but I’m telling you, it’s going to make the difference between accomplishing your goals and simply just living. Once you begin working through your day in a proactive state rather than having to react to everything that gets thrown at you, it’s going to change your life! In other words, my friend, you will have taken control of your time, and stopped letting it control yours! Accomplishing your goals on your own can be a lonely journey, so having someone to hold you accountable, share your dreams, be your biggest cheerleader can make all the difference in the world. Find someone who thinks like you, has the same values as you and is just as invested in your goals as she is her own. My accountability partner has become my best friend. Someone I talk to almost daily, who goes before the Lord for me and is just as excited about my success as she is her own. I’m the same for her. Cheering her on, giving her direction when she needs to take a step back to see things a little differently, and giving each other the hard cold truth. Because in the end, we both want to succeed! 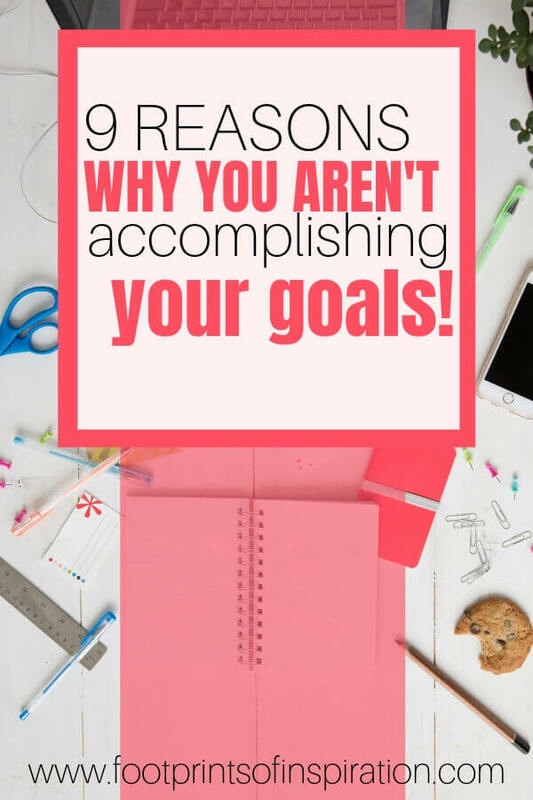 Ahhh, probably one of the biggest reasons you’re not accomplishing your goals. Putting yourself out there for the world to see is incredibly scary. I mean after all, what will people think? How will they react and oh my goodness, are they going to spend their time putting you down rather than building you up? Well, my friend, the truth is…yes, that may happen! Some of your friends and even your family may not support you. They may spend their time reciting all the reasons why your goals won’t work or your dreams won’t happen. Guess what, you may have to readjust your goals as you go along, but even if you do, it isn’t a failure. You never fail. You either learn or you succeed. So let the naysayers criticize. You’re changing your life and taking the necessary steps to live your dreams! You will fall on your face from time to time, but you’ll also soar higher than you ever have. Through it all, you’re going to learn, and grow. And when you keep at it and don’t give up, you will succeed! So even when you have to adjust your goals along the way, it doesn’t mean you’ve failed. On the contrary. It means you are succeeding! You’ve been dreaming for a long time. You know what you want your life to look like, and now you know how to make a step by step plan to make it happen. You know that you have to live intentionally and make the choice every day to keep moving forward. If you want the life you’ve been dreaming of, it’s time to take the steps that’ll get you there. No more standing on the sidelines, my friend. It’s time to step out of your comfort zone and make it happen! One year from now, you’ll be so glad you did! P.S. Don’t forget to download our FREE Goal Crushing Action Plan. Simply subscribe to our newsletter below and get instant access to it and all of our FREE resources in our community library. I needed this post today. Life has been very crazy lately. My 90 1/2 year old mother lives in an apartment downstairs from mine. She does pretty well for herself but I do have a lot of running to take her to physical therapy and doctor appointments. I also have lots of calls to make about her and lots of paperwork. Then my brother died last week. Add in just the normal calls/texts/etc from people and I feel like my head is going to explode and my body just quit. I used to be good at keeping projects and tasks organized. Lately I have been just trying to put out fires and keep the ball in the air. This reminds me I need to put many things aside and do some planning and mental organizing. Thanks.